Those willing to engage in development and production shall not only be able to fulfill mechanical work but also master the appropriate tools. We have a fleet of modern CNC lathes and milling machines, grinding machines. We give great importance to automation of our production. 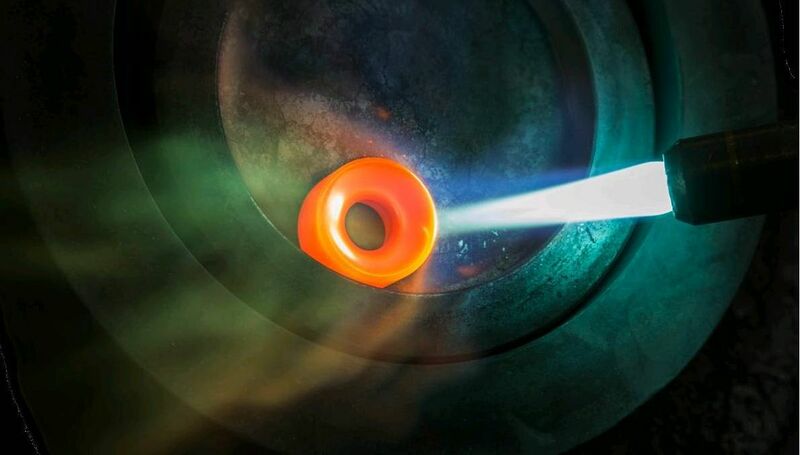 Thermal spray coating — tried and tested technology. This technology has been used in almost all industries for over 100 years. This method allows — by applying a protective coat on the metal surface — to prevent wear, corrosion and other combined aggressive product exposures. In all thermal spraying processes, fine particles of the applied coating are heated in the dispenser and are applied to the surface under pressure. If the temperature and velocity of the particles is sufficiently high, they form a layer with the desired characteristics and required strength of surface bond. The advantage of thermal spraying lies in possibility to always find the ideal solution for protection against wear by combining base materials and big amount of different additives. Selection of the coating system also depends on the application method. For optimal selection of the coating system of crucial value is mechanical stresses and shape of the structural part, as well as strains on the surface of parts emerging through contacting with solid, liquid and gaseous conjugated elements.